Since 1991, Life Services has been coming alongside women who are facing unplanned pregnancies, offering practical, logistical, emotional and spiritual support needed for each unique situation.  Life Services is a Christ-centered, non-profit organization dedicated to the sanctity of life beginning at conception. Life Services provides comprehensive services that lead to healthy, life-affirming choices related to sexual integrity, childbearing and family life, particularly when an unplanned pregnancy occurs. A few of the ways this is accomplished is through a free pregnancy clinic, a maternity home, and post abortion recovery. Do you have a heart for the unborn, their mothers and fathers, and a faith in Jesus Christ? Please pray about becoming a Life Services’ volunteer. There is a need for Nurses, Client Advocates, Prayer Partners, iTHRIVE Families, and Weekday Mobile Unit Drivers. Nurses: Use your degree as a registered nurse to run pregnancy tests and address medical concerns of clients in need of answers. Mobile Unit Drivers: Help with driving, setting up and returning the Mobile Clinic (RV) to its parking garage during the week day. Receptionist for Mobile Clinic: Be the smiling face that greets our Mobile Clinic patients, while helping with paperwork and answering phones. Respite House Parents: Weekend and evening on-call substitute house parents. ITHRIVE Advocate: Become a friend and mentor to a young woman making her way before, during, and/or after an unplanned pregnancy. Host Home: Provide a supportive family home for a woman in need of a safe place to begin again.